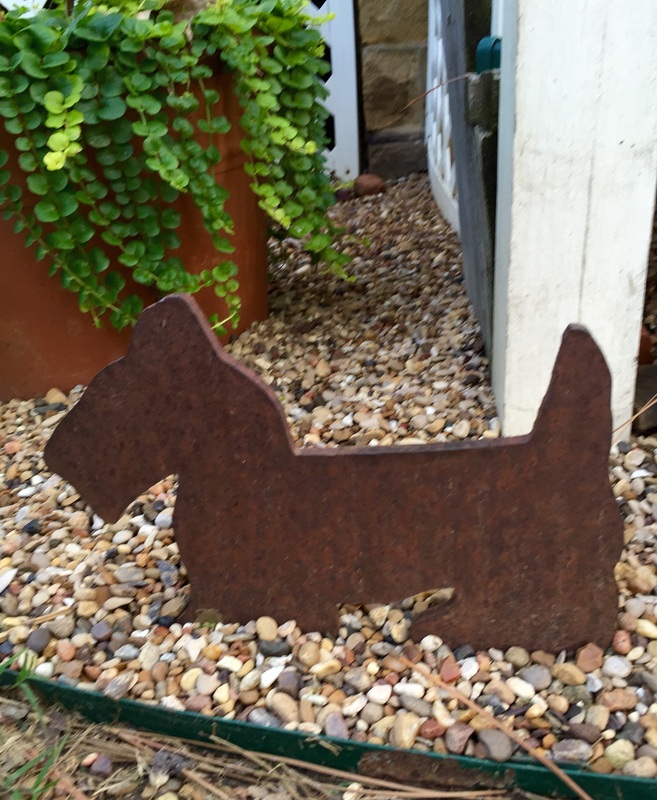 Every Scottie owner seems to be on the lookout for anything that pertains to Scotties when they go shopping. Our Mom loves outdoor Scottie things. She got this a couple of years ago in Door County at Pet Expressions. Mom always manages to find something there when we go to the Scottie rally. 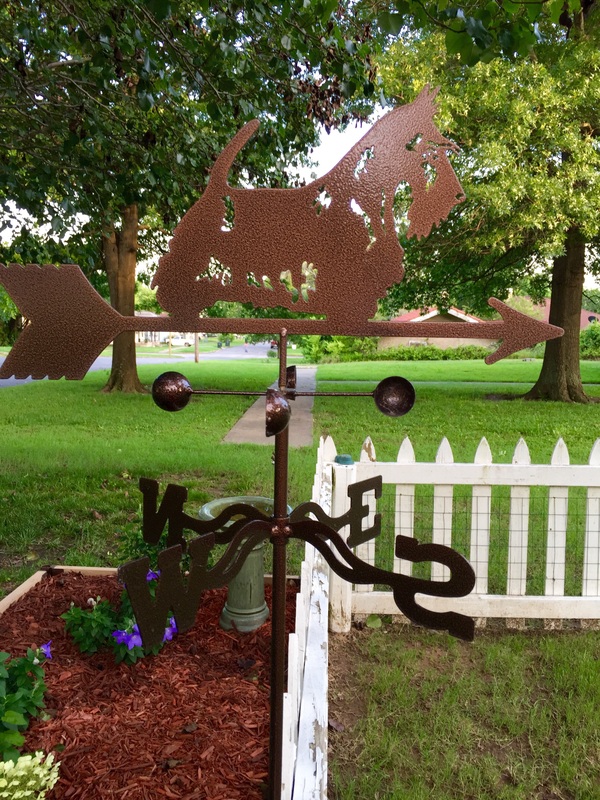 We have another one mounted on top of the garden shed in the back. They ship too. 🙂 Dad likes that option. These are this year’s additions from Pet Expressions. The two black ones she had powder coated to prevent rust. The red one was shipped. Dad said no room in the car. Goggle them. They have cool dog stuff. 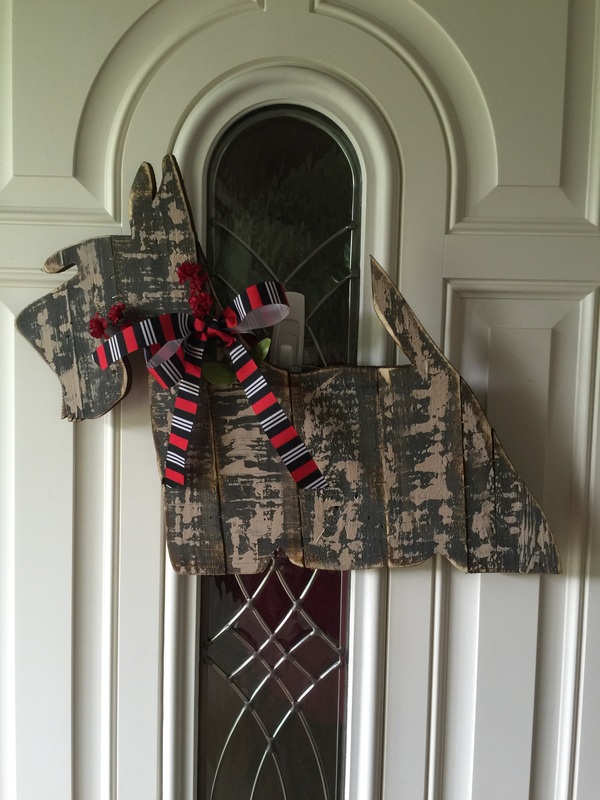 This is our door Scottie. Legends at Hilton Head provided this one. Lori, the owner, has unique Scottie items; check out their FB page @Legends Sports Gallery, HHI. You can call her and she’ll Fed Ex it right out. Don’t forget to include some licorice Duncan Dogs (Dad’s fave) and Mom said the White Cheddar Popcorn and the Cherry Tarts are great human treats too. 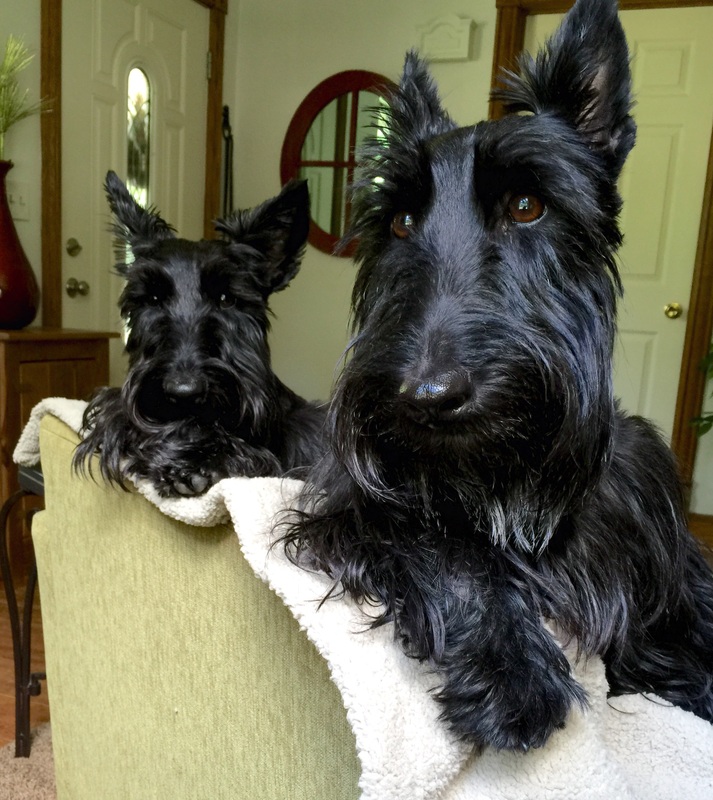 This is our faux Scottie. Actually it is a cast iron boot scrapper that the cousins got Mom for Christmas a couple of years ago. She adores it.